"The foreign and seemingly hostile world of adolescents. "Chap Clark, associate professor of youth, family and culture at Fuller Theological Seminary, saw what few adults are ever privileged to see: the real subterranean world that teenagers today inhabit. 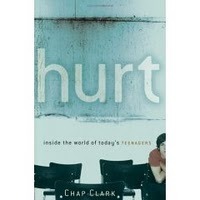 In his book Hurt, which has challenged and changed youth workers all over the country, Chap Clark presents his case for understanding middle adolescents today. This is the best book for the intersection of sociology and ministry, and thought it's an academic book, it's written in a very accessible style. This book is divided up into three parts, with appendices: Part I, The Changing Adolescent World; Part II, The Landscape of the World Beneath; and Part III, Where Do We Go from Here?. Appendix A directly applies the content of the book to the work of youth ministry and Appendix B explains the scholarly apparatus that framed his sociological research of midadolescence. Chap Clark spent months working at a public high school as a substitute teacher and researcher. The students, faculty and administration all knew that he was gathering information and most cooperated. Through interviews, interactions and even surveys, Clark began to see what forms the foundation of current youth culture: systemic abandonment. 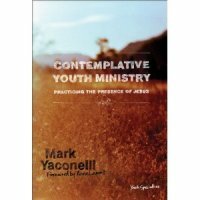 This book is the professional follow-up to Mark Yaconelli's Contemplative Youth Ministry, detailing the development of contemplative youth ministries throughout the U.S. This book is a collection of stories, insights, A collection of stories, experiences, conversations, and insights from experiments in contemplative youth ministryfailures and successes from actual churches and communities that have experimented in contemplative prayer and action. "Jesus makes us uncomfortable, causes us to question our daily practices... When kids learn to live in the Spirit of Jesus, they may...become outcasts. "If the angel Gabriel said to me, "Mike, you can only have one youth ministry book for the rest of your life", then this book would be the one I'd choose. Never has a ministry book done more for me personally and in ministry then this one. It's an eye-opening, soul-searching, peace-seeking summons that strikes at the root of what is going in our ministries and what's going on in our ministers. Contemplative Youth Ministry is all about reestablishing intimate communion with Jesus and to minister from there. 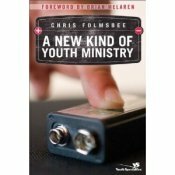 Too many of us have bought into the gimmicky, flashy side of youth ministry (BIGNESS! ), and have forgotten its connection to theological living, to contemplative action. For many people, contemplation and teenagers don't really seem to mesh well, but this is simply because we have not been daring enough to create a culture of silence, solitude and stillness in our youth groups, at our weekly sessions or in our big events. Mark Oesteicher, aka "Marko", in his new book, confronts our commonly held assumptions on youth ministry and offers prophetic guidance on moving forward that can benefit greatly the new evangelization. He launches into this project with these disturbing words: "The problem is this: The way we're doing things is already not working. We're failing at our calling. And deep down most of us know it. This is why we need an epochal shift in our assumptions, approaches, models and methods." 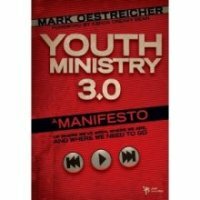 Youth Ministry 3.0 proposes to help guide 21st Century youth ministry into just such an "epochal shift". "The way we're doing things is already not working. We're failing at our calling. And deep down most of us know it. "Adolescence is a recent phenomenon. In the last 100 years we have watched at the holding period between childhood and adulthood has increased, from G. Stanley Hall's mere 18 months in the early 1900's to 15 years of adolescence today, starting with puberty and ending in one's 20s! This lengthening in of adolescence caused the evolution of youth culture in America. Knowing the experiences that define the adolescent years are crucial to responding authentically in youth ministry. If you work with middle school to college kids, you need to get this book. Walt Mueller has presented in this book the finest outline of youth culture today, aptly applying psychology, sociology and theology into such an overview that you would be impoverished to pass this one up. He is the founder and president of the Center for Parent/Youth Understanding, and is a 30-year veteran of youth ministry. 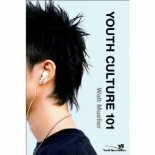 This book gives the best overview of youth culture today. Irreplaceable!What do I like about this book? I think Mueller was on the right track to not specify his research and writing too much so as to render it obsolete quickly, but rather he identifies big cultural trends and undercurrents of thought and behavior that characterize youth culture. Much of his attention is on media and marketing, as they are the primary shapers of young people. As the digital age continues to sweep over us, entertainment and the values it proposes to us are perpetually accessible. Whereas in yesteryear it was costly and rare to be entertained, today we have instant access to a virtually unlimited music, television, and movie catalogue for less than a dollar (or free with online piracy). 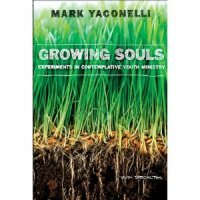 The purpose of the book is to get each youth minister to reculture his or her current ministry.